Senate gives Osinbajo two weeks ultimatum to submit budgets of revenue generating agencies – Royal Times of Nigeria. The Senate has issued a two-week ultimatum to acting President Yemi Osinbajo to ensure submission of the budgets of 31 public establishments, including the Nigerian National Petroleum Corporation and the Nigerian Ports Authority in line with the provisions of the Nigerian Constitution and the Fiscal Responsibility Act to the National Assembly. The Senate, following a motion by the Deputy Leader, Bala Na’Allah on Wednesday, also resolved that the concerned agencies should stop further spending pending compliance. 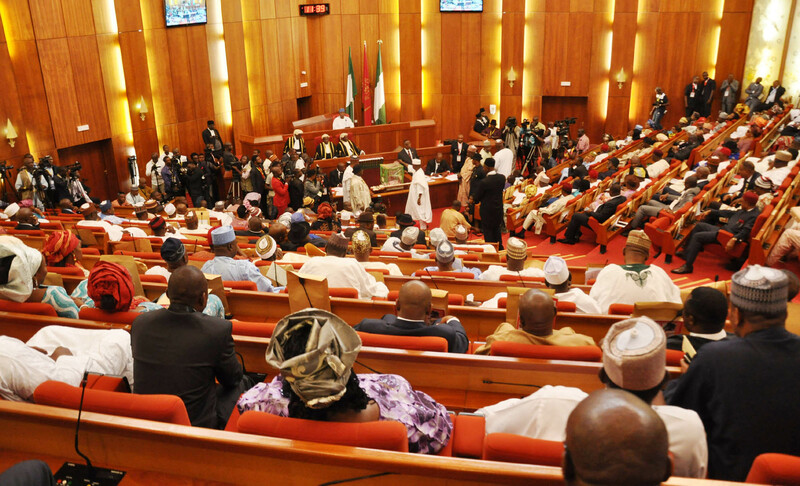 Many Senators, including Deputy Senate President Ike Ekweremadu; Solomon Adeola, APC-Lagos; George Sekibo, PDP-Rivers; James Manager, PDP-Delta; Barnabas Gemade, APC-Benue, took swipe on the agencies for disregarding the law and spending without appropriation. Stop meddling in domestic violence rather improve prisons- Mercy Aigbe`s husband advises govt.